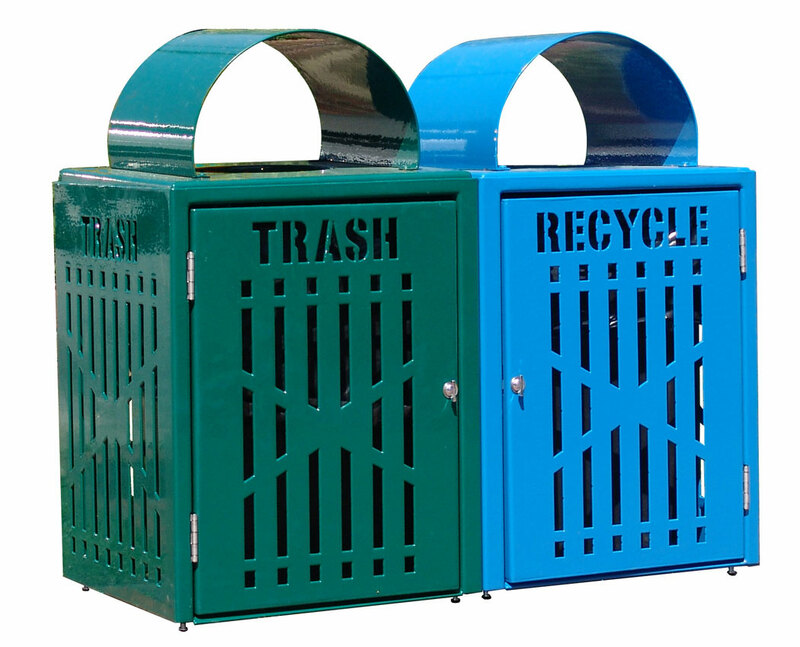 [XPB-TRD32D-X] Our 32 Gallon Diamond Trash and Recycling Bins are fabricated with 11 gauge steel. Equipped with heavy duty square plastic liners and front-opening doors for an easy access. Two different colors of thermoplastic and text on the doors for easy differentiation of identification. For shipping quotes, discount pricing, orders or questions please call our Customer Service Center at 1-877-483-9270.